Gov Wike Steps Out With His Wife And Children As He Celebrates The New Year. Gov. Wike and his wife Eberechi-Suzette Nyeson-Wike step into year 2017 with their lovely children. 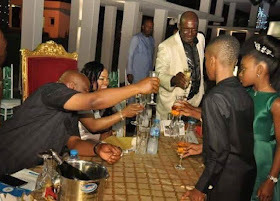 The Rivers first family were seen in a celebratory mood, to mark the new year.